Classic James Bond returns to the big screen this summer! 10 films covering 5 Bonds over 5 nights from Dr. No to Skyfall. 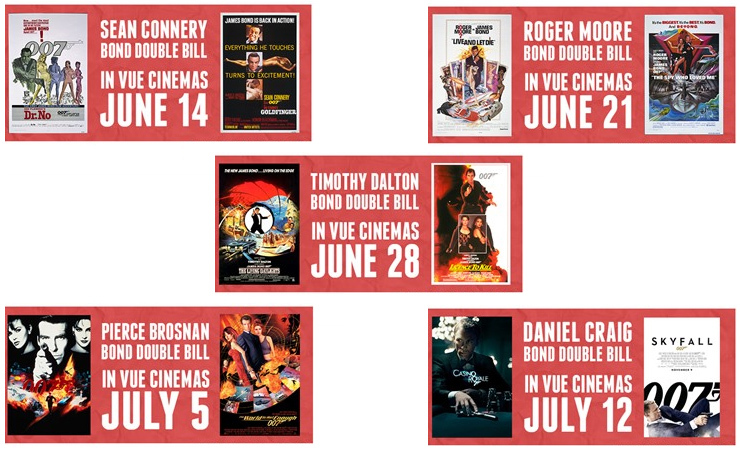 For more than two decades the James Bond films were re-released theatrically in the UK on double-bills, sometimes showcasing the latest Bond film with a earlier entry in the series. 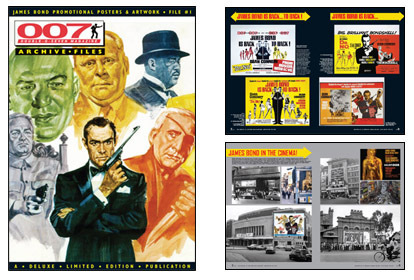 In April 2012 007 MAGAZINE ARCHIVE FILES took a look back at a selection of the highly collectable promotional posters used to market the James Bond films in cinemas around the world and on the high streets of the UK. £9.99 + p&p Purchase now!